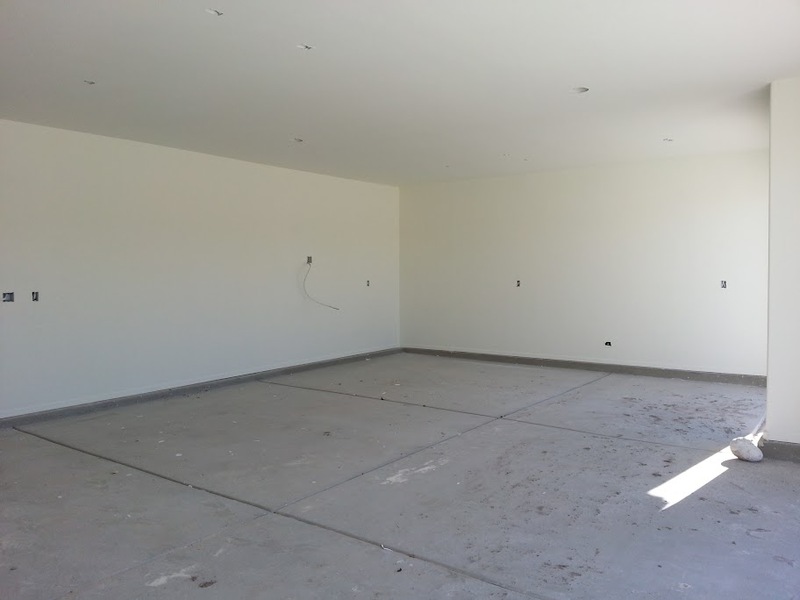 So we just signed a contract to build a new home and I included as much garage space as I possibly could. We have 882 square feet to work with. The garage layout is a split design with the main three car garage offset from a one car. My soon to be wife (yikes, getting married 2 weeks from today!) has graciously volunteered to take the one car for her SUV, Christmas decorations, and anything else that is not car related. ^ My backyard. Do you think they make r-compound tires for golf carts? Ok, so what you see above can be fully re-arranged, stuff added, stuff deleted, etc. Well what are your goals? Place to store your toys, place to work on them or place to show them off? What sort of floor are you planning? For me that was the most important piece as I did the high end epoxy/flake floor and absolutely love it. Are you going to do cabinets or just shelves? What's your total budget like? A garage can never be deep enough. Absolutely do not let them put posts between stalls. 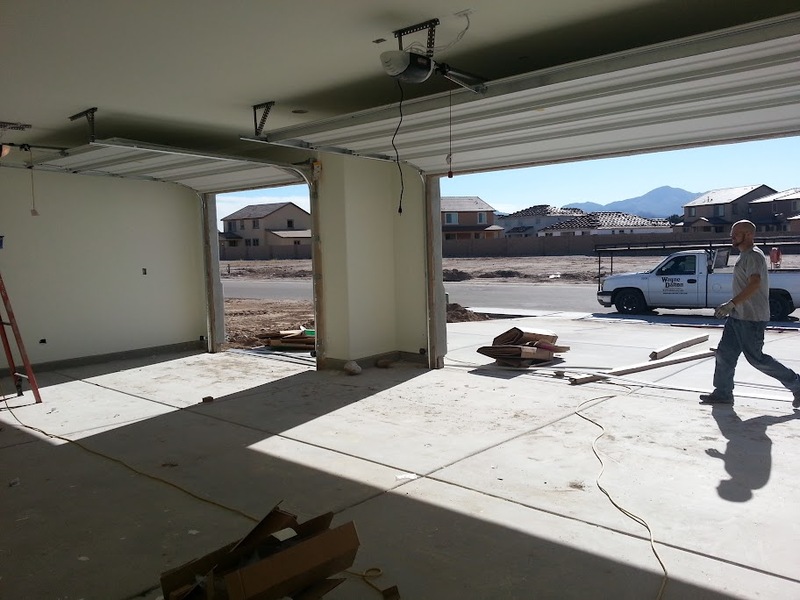 The more doors to sides of the garage, the easier it is to get things in and out without risking damage to parked cars. Storage and working on mostly. I will have people over but I'm not really planning on using it as a show area. I will be doing an epoxy floor similar to yours. Total budget is around $10k, but that includes the A/C, lift, etc. The lift can actually increase floor space if you use it to lift a car out of the way. I raised the ceiling as much as I could and added the 98" door openings to give as much room as possible. Very good point about the posts. I hadn't even asked about that... it wasn't in the floor plan but you never know. For some reason a side door addition was $1000! I opted out because that side of the house is already on the very edge of the property. Also, you will never regret having a utility sink. That better be an impressive steel security door for $1k. If you can spare the room and the cost a bathroom with shower. Set tub for parts cleaning, washer & dryer for shop rags and the "your not putting that in my washer" cloths. If you intend to do much restoration an old oven lets you dry paint quickly or heat up parts. A place for dirty work (bead blasting, grinding...). A floor drain could help with serious detailing. Can the compressor be put in the attic to free up space? Eek, spill over from holiday junk (larger than life plastic Christmas angles, witches...). Your life is over. Put in a basement to hold the junk. I would skimp on the outfitting of the garage to gain a basement in an attempt to keep the garage mine. Putting the compressor outside the garage isn't a bad idea. I can plumb a line through the wall. It'll make it quieter when it's running as well. What is the height of your celling? I have 9 1/2'. It works ok for my Elise and Evora, as well as my Jag. My garage was already built when we bought the house. I wish I had 10 1/2' ceilings, that way I could stand up under the cars. As it is now, I have to bend over or use my rolling shop chair to work on my cars. Also lots of lighting and A/C plugs. I wish I could build my own garage, you are lucky. I like it, but I would not put the door behind the truck. Switch placements with the golf cart/Ducati. Just my thought. I have my Harley and racebike on the door side and my Noble on the other side. Gives me more room to maneuver around, especially when I am carrying stuff. I recommend insulated overhead doors. Also, when you get to the drywall/finish stage, insulate the walls. These are fairly inexpensive upgrades that will help keep the space more comfortable. Make sure all your 120v receptacles are on 20A circuits instead of the standard 15A. If you ever plan to use a welder or standing fabrication equipment, add a 240v 30A circuit. Your lift may even run on 240v. If you can, make your third stall as deep as as the other two. It will probably make the exterior less esthetically pleasing but will make the space more functional. As it is rendered now, it looks like you don't have much clearance around the lift. If you plan to work on vehicles on the lift, consider placement in the middle space. Last edited by jasondew; 10-07-2012 at 03:56 AM. Great advice. OP, looks like a nice setup! I never liked how the generic design for a 3 car garage is the one off to the side with its own door with a pillar separating the doors, but then again, it's totally understandable that you want to be able to open just the one for the side that you use more often without opening everything, but I think the guy from Fox Valley has a 3 car that has just a big opening door that shows everything inside all at once and it's big enough to fit a Dodge Ram so yeah, you never have enough depth or size in a garage. Drop the power from the ceiling for the pump on the hoist or wire in a floor outlet. A two post lift has advantages of access to more of the underside of the car and allows removal of the wheels/suspension. Four posters are easier to use to drive on/off and more suitable at home. I have both and prefer the two post for actually working on the car. You can't have enough space and storage. Unless you plan on putting another car in there. I'd say dont get the 4 post lift. Get a 2 post so you can put cabinets in front of the lotus. Maybe a MaxJack if you're not going to do really heavy work. I've been forgetting to update here! ^ More framing. We decided to get a 1-story house this time. ^ VTEC kicked in y0! Framing was done really fast. The crew is amazing. ^ I'm going to be placing my in-garage HVAC unit here. I made a few changes to the lighting. We are doing 8x florescent bulbs (4') and recessed can lighting. The electrician is a little hesitant about the can lighting due to something about spacing with duct work so we'll see what happens there. Last edited by Bane; 11-18-2012 at 07:51 AM. what is your defintion HVAC unit? cuzz your 10 grand budget could get blown in a hurry on just that and the lift. Just a through the wall unit from Home Depot or Lowes. It's ~$500 which is much less than I was expecting.